When you explore facial treatments with us, you’ll quickly see that we have several different options to choose from based on your goals and individual needs in Kernersville. Ageless Signature Spa Facial – The perfect combination of correction and relaxation! This customized signature facial is tailored to address your unique skin care needs. Regardless of your skin type or concerns, your esthetician will use products specific to your skin resulting in glowing, radiant skin. Anti-Aging Facial – This facial targets the signs of photo aging, sun spots, fine lines and wrinkles. Improve skin texture and tone while softening the appearance of large pores. Serums with Gardenia stem cells and Vitamin C help reverse and repair existing sun damage. Back Facial – Enjoy this exfoliating therapy for that hard to reach area! Cleansing, exfoliation, steaming, hot towels, and massage are just a few things we do in this back therapy to help keep your back clear and relaxed. 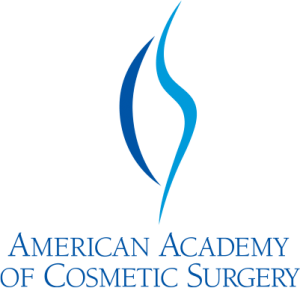 Dermaplaning – A safe, painless exfoliation alternative. Using a medical grade sterile surgical blade and a method similar to shaving, the outer most layer of dead skin cells are removed along with the fine vellus hair. The result is immediate brighter, smoother, softer skin. This is an ideal treatment for all skin types and conditions, including extremely sensitive skin, rosacea, and skin prone to redness. Express Facial – This express facial will give you deep cleansing in as little as 30 minutes! * If you are on the go or just need a quick pick me up, the express facial is perfect for you. We customize it according to your skin needs and leave you with a glow everyone will be asking about! Purification Facial – Are blemishes getting in your way? This Purification facial is designed to stop blemishes in their tracks. Cleansing, deep exfoliation, removal of blackheads, and a purifying mud mask will help clear the skin and keep blemishes at bay. Rosacea Facial – This treatment soothes, calms and reduces irritation while providing overall improvements in skin color, skin texture and pore size. LED Light Therapy – is a lower level laser therapy that is non-invasive, painless, requires no downtime, and is safe for all skin types. It is an effective way to naturally regain that healthy, youthful glow. While at-home facial treatments might give you some results, you may also find yourself wondering if there is any way to improve the appearance of your skin – especially in the delicate areas around your eyes and mouth. If you aren’t satisfied with over-the-counter-facial treatments and are looking for something more substantial in terms of your skin care regimen, then you have come to the right place at Ageless in the Triad Med Spa. When you explore facial treatments with us, you’ll quickly see that we have several different options to choose from based on your goals and individual needs. Whether you are looking for a treatment that exfoliates and hydrates or you would like to try one of our medical-grade skincare lines, we’ll help you select the facial treatments that are best suited for your skin care goals. One of the best reasons to come to us at Ageless in the Triad Med Spa is because Dr. Biggerstaff and her staff have more than a decade of experience helping clients achieve their best look. From the expert application of injectables to recommending the perfect facial treatments during your lunch hour, you’ll find that you finally get the results you want without the hassles of trying every product you can find. Because your skin is unique to you, your facial treatments should be, too! Contact us at Ageless in the Triad Med Spa today for more information about our facial treatments and other med spa services in Kernersville, North Carolina. We can’t wait to help you get the results you want and deserve!